The Game of Thrones buzz is never ending and the outfits of the television show have been cemented in the minds of the people. It is time for you to take out one of the famous costumes out of your mind and make it a reality. 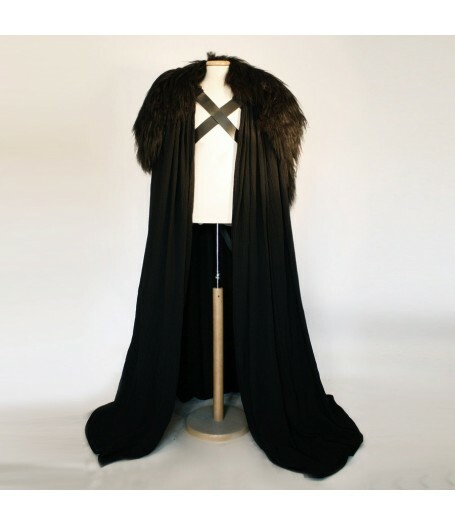 That is the Game of Thrones Jon Snow Costume. 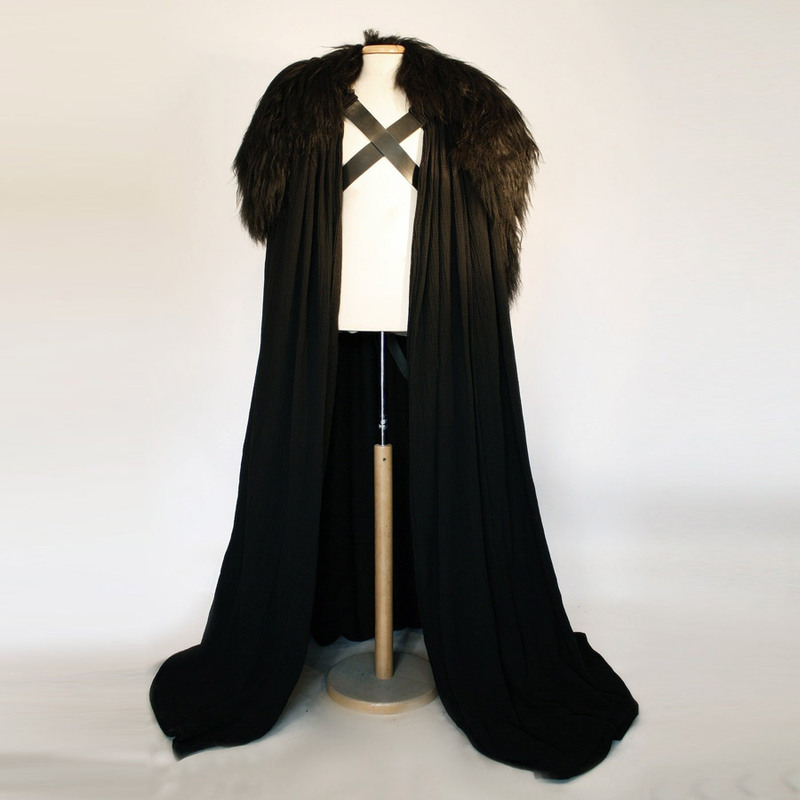 The Game of Thrones Jon Snow Costume is made from chiffon and is full in length to suit any height perfectly. It is in a pullover style outwear that you must wear with the other items of the costume. 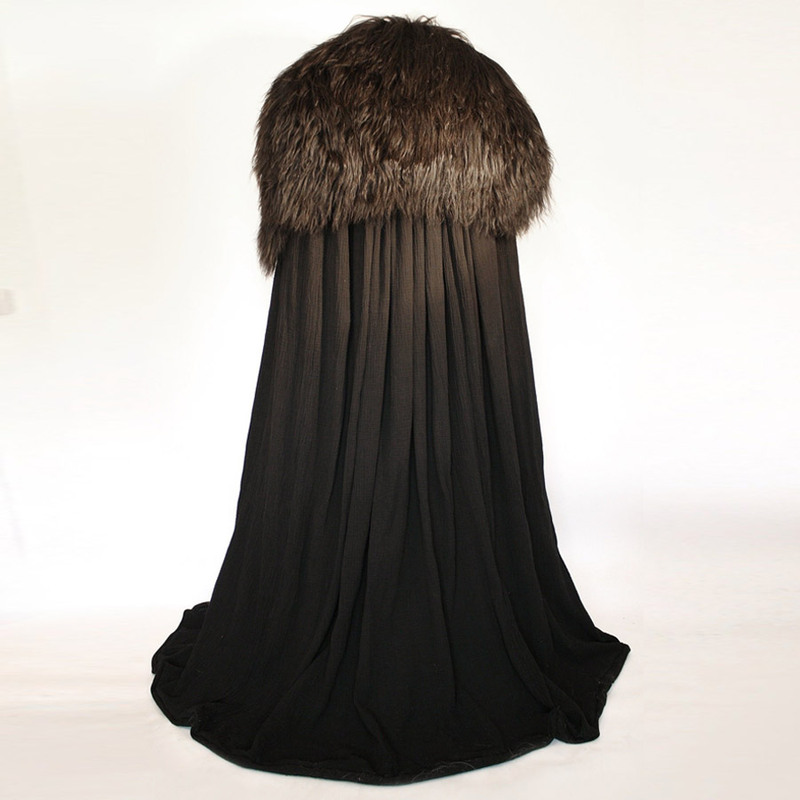 Apart from the thin material, a large shearling fur layer is attached to it. Both are available in black and the leather straps will maintain its position on your body.